Your marketing content often serves as an introduction to you and your firm, and it can speak volumes regarding the services you offer. As such, it’s important to develop a brand voice, messaging, and look that are truly your own. But if you’re like most advisors, you don’t employ in-house marketing and creative staff. So, where do you start? Fortunately, there’s a world of freelance talent to help tell your firm’s story. Here, we’ll cover the best strategies for finding and working with freelance creative talent. First, define your key marketing and creative objectives. Do you want to refresh your website? Establish a social media presence? Create a direct-mail campaign? Whatever your goal, you will need content written and designed that expresses your brand and your message. Once you’ve established which projects to prioritize, it’s time to determine the type of freelance creative services you need to accomplish them. “Creative services” is a catchall phrase that includes copywriting, art direction, and graphic design. Let’s take a closer look at what each encompasses. Copywriter. Copywriters can create content for your website, brochures, ads, and e-mail campaigns, and copywriting includes various specialties. For example, long-form copywriting (e.g., a request for proposal or a brochure) is different than short-form conceptual copywriting (e.g., an ad or webpage). Given the level of regulation and compliance our industry demands, be sure to consider a copywriter’s expertise in the financial services industry. Art director/graphic designer. These professionals oversee a project’s visual appearance, often working closely with copywriters to ensure a unified tone in content and visual message. They conceptualize solutions to business problems and offer expertise in the production of a project, whether it’s the construction of a website or the print production of a brochure. 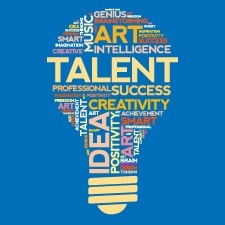 Next, it’s time to focus on finding “great” creative talent. Experience. There is no greater teacher than experience. Experienced creatives know the right questions to ask their clients and how to translate that information into the finished product. Here, I’m referring to both technical and industry experience. Creative work can be all the more challenging in such a highly regulated industry, as regulators are concerned with what you say and how you say (and show) it. Strategic thinking and creative skill. Great creative work takes complicated information and makes it simple and memorable. The right content in the right tone—with the best visual connections and representations—is a difficult balance to achieve. It is possible, however, when the person you’ve hired has the perfect combination of critical thinking skills and creative vision. Personality. Personality is one of the most important considerations when searching for great creative talent. You will be working closely with whomever you hire, trusting that individual to solve your business need. The better able you are to collaborate, share feedback, and listen to each other, the better the results of your marketing project. Where you find creative talent depends a great deal on your location. In urban areas, it’s relatively easy to find local freelance talent, and there are agencies to help. Try searching the web using keywords like “freelance designer” or “marketing copywriter, financial services,” and be sure to include your location. You can also check with your local chamber of commerce or other professional organizations you are associated with. In rural areas, local options may be more limited, and you may have to work remotely with freelance creative talent. These days, this process is very common and easy to manage using Skype and other tools that allow you to view and edit files electronically. LinkedIn: Here, you might search for “freelance graphic designer [your location].” LinkedIn also allows you to see writers’ online portfolios and blogs. Referrals: Ask your professional network to refer you to creative talent with whom they’ve had success. Managing the process remotely. If you do find creative talent outside of your community, here are some tips for managing the process. Communicate. Be clear about your expectations up front. It’s a good idea to provide a detailed briefing (i.e., target audience, differentiating key message, action you want the recipient to take) and to check in regularly so you both know what should be happening—and when. Use technology. Tools such as Skype enable face-to-face meetings online. Microsoft Word and Adobe PDF files allow you to make comments and revisions. Share background materials. You won’t always be available to answer questions, especially if you’re in a different time zone. If you have existing material that may be helpful, share it! Set fair deadlines. Deadlines should be reasonable, and it’s important to be in agreement with the other party. Also, always confirm the applicable time zone for each deadline. Experienced creative professionals will have online portfolios of their work, so you can see what they’ve worked on. If you like someone’s work enough to reach out to him or her, that person should ask you questions and show an interest in your business. The candidate will ultimately be your voice, so his or her personality and style are critical aspects to evaluate. If possible, interview at least two candidates for any need you are trying to fill. This will give you a basis for comparison, which should help in the decision-making process. Creative professionals should be prepared to provide you with examples of their work, plus give you contact information of current and previous clients. You’ll also want to ask about their working process. This will help you determine what you need to provide in order to help them complete the project successfully. Finally, clearly explain what prospects can expect from you. Great creative work comes at a price. So, it’s a good idea to determine where costs may arise and budget accordingly. For example, if you plan to run a full-page ad in a local publication for one year, you will need copy and design. You will also need to factor in the cost of ad placement. Some freelancers charge a flat fee, which might include no more than one or two rounds of revisions. Others bill by the hour, where you are charged for every revision you make. Either way, the terms and cost structure should be detailed in the project proposal and contract. If you provide substantive information and feedback in the early stages, there should be fewer revisions—and reduced expense. Like almost everything involved with running a successful practice, working with freelance creative talent comes down to relationships. Strong relationships with your creative service providers will undoubtedly lead to better results. Of course, it will take effective communication, listening, and some trial and error. But if you approach the relationship as a partnership, I think you will find that freelance creative talent can help build your brand, your credibility, and your practice. Have you had success working with freelance creative talent? How did you vet the talent? Please share your thoughts with us below!